We have extensive experience in designing and running on-going sales training programmes that will transform your sales teams. These programmes are normally modular in nature and are run over a number of months usually consisting of core development training and specific, individual requirements as well. Our programmes can be as simple or as comprehensive as you like and can include fully blended learning experiences that include face to face, online learning, digital resources and webinars. If you have a global salesforce we have representation in 23 different countries so we’ll have you covered. MTD have a proven track record in delivering the results and the outcomes that our clients desire and we have the accolades to prove it as well. 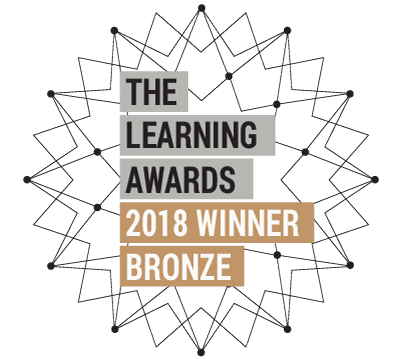 Our in-house training courses and programmes have won many awards. They are always practical, engaging and fun providing techniques that work! Finalists for developing a creative and innovative solution that created outstanding benefits. for the outstanding ROI it achieved. 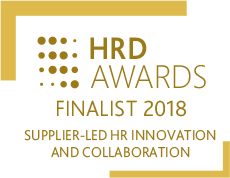 We won this prestigious award for the quality of our HR supplier partnerships. We’ve trained over 7,500 different clients from hundreds of different industries. Whether it’s for a group of new or existing sales people we will design and deliver a course that is centred around your exact requirements. What really sets us apart from the competition are the unrivalled levels of post course support that we will provide to each of your sales team. Implementing the learning is vital if you’re going to get a real return on your investment. We understand this and leave nothing to chance. Therefore, each of your sales team will receive a number of unique resources to help them embed their new skills and approaches when they go back to the workplace. We are a recognised centre with The Institute of Sales Management (ISM) which means that the experience that you will receive will be of the highest standard. The Institute of Sales Management (ISM) is the worldwide representative body for sales people and is the authoritative voice of selling and the custodian of sales standards, ethics and best practice. Being an ISM centre gives you the confidence and peace of mind knowing that we adhere to the international standards and code of ethics that the Institute sets for sales training providers. It also means that we can deliver ISM qualifications and accreditations if the needs be. All of our open courses are certificated through the ISM. We’re also CPD accredited and hold an ISO 9001 certificate for the quality of our training services. MTD Sales Training are always at the forefront of the latest sales strategies and techniques and have a proven track record in improving bottom line sales performance. The ISM are proud to be a partner as MTD continually push the boundaries and standards within the sales industry to the greater good of the sales profession as a whole. Each delegate receives unlimited email and telephone support, videos, audios & resources to help them embed the learning. VMware, the global leader in virtualisation and cloud infrastructure, delivers customer-proven solutions that accelerate IT by reducing complexity and enabling more flexible, agile service delivery. VMware enables enterprises to adopt a cloud model that addresses their unique business challenges. VMware’s approach accelerates the transition to cloud computing while preserving existing investments and improving security and control. With more than 500,000 customers and 55,000 partners, VMware solutions help organisations of all sizes lower costs, increase business agility and ensure freedom of choice. As many of the products and services are solution based, a need was identified to train the sales team in consultative selling skills. The sales teams needed to be able to conduct a thorough fact find and then match the needs and wants of their prospects to the solutions that they provided. Building the value was seen as a critical skill that needed to be improved as well. MTD designed and delivered a series of workshops that focused on “pulling out” information from their prospects and clients so that the sales team had all of the relevant background, needs, wants and information that would enable them to create innovative solutions for them. Once the solutions were identified the training focused on building the value of those solutions so that comparisons were not made to just price but instead the benefits and the value that the prospect would receive directly from the products and services themselves and all of the other added extras of using a trusted brand. Aggreko plc is the global leader in the rental of power and temperature control. They help companies increase profits by creating opportunities, solving problems and reducing risk using their unique network of global locations, equipment and technical services. With 100 locations in 29 countries Aggreko offer 24/7 services to companies across a variety of industries. 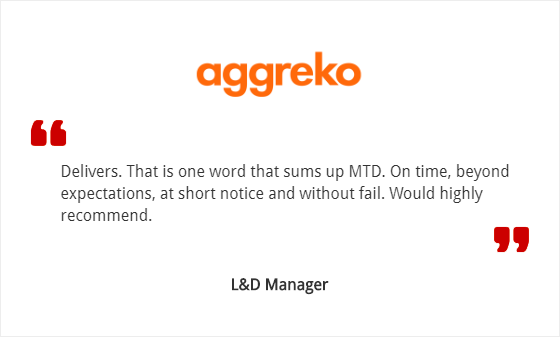 Aggreko were looking for a provider to design and deliver an on-going Sales Effectiveness Programme for their team of 45 Sales Engineers and Account Managers. Aggreko were not looking for a “one size fits all” approach. Instead they were looking for a provider that could provide core selling skills best practices but at the same cater for individual requirements and nuances within the different sectors they operated in. MTD designed an on-going programme of 1-day workshops delivered over a 6 month period for each of their teams. We started by benchmarking all of their sales people against the sales process that we created for them. The sales process included an acronym so that all of the Sales Engineers could remember and adhere to its component parts. There were a number of resources and tools that we created around the process to ensure that it “stuck” and was used. The training was very practical and case study specific due to the nature of the solutions that they offered and was mainly focused on soft skills and process because they already had a high level of technical ability and knowledge. 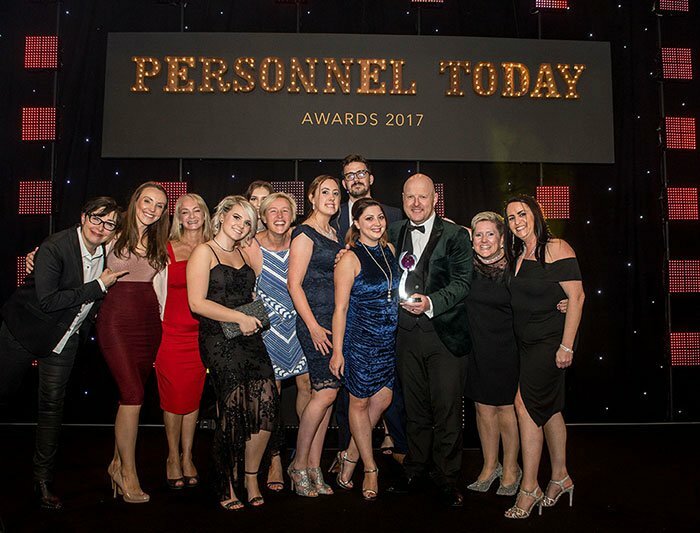 Because the programme had such a positive impact MTD were chosen to deliver a customer service excellence programme for 220 service engineers so that they were providing the best possible service to the client after the business was won and how to spot additional opportunities based upon the needs of the client. Smith & McLaurin are one of the longest established manufacturing companies in labelling products. Still based in their original Scottish factory, they provide a complete range of products supported with innovative levels of service. Customers represent a vast range of sectors including retail, food processing, manufacturing, distribution and pharmaceutical industries. Leading their field in supporting customers’ evolving needs, their commercial focus has rapidly moved into the search for solutions to environmental imperatives. More important than ever, the need to guide and take the market forward into previously unknown territory is paramount. Environmental issues including manufacturing processes, the use of chemicals, transportation packaging and end of use disposal need to be accommodated. Practical, economical and effective solutions have been developed that provide buyers with the best available current products, supported with continuous research into new materials and methods. Backed by total quality assurance and more than a century of experience Smith & McLaurin now lead the field in the ability to provide holistic environmentally effective solutions: positively different. With an experienced sales team, used to working in supply situations that have become commoditised and singular in nature, the need to elevate the sales process to more consultative levels became clear. The sale is now more complex in nature, demanding that core sales arguments be transmitted to key stakeholders in ways that enable their sourcing to contribute value to their wider needs, commercially, corporately and environmentally. Sales people must move away from the commodity mindset, deal with different buying influencers and specifiers in major corporate accounts to create awareness and foster consultative relationships. The ability to differentiate, add recognisable value and compete effectively means that core sales and business development skills must be honed and applied with impact. Further, the individual needs of each team member must be accommodated in ways that support the learning and development process whilst recognising and supplementing the value of their experience. In considering several potential providers, the senior management team sought a capable training organisation able to satisfy a wide range needs for helping move the company to another level. A key element was that the personality, experience, knowledge and ability of trainers would meet the robust demands of the task. Fundamental to this was that the provider understood the corporate needs and could demonstrate the ability and will to devise and deliver material that itself adds value to the process in a challenging yet supportive manner. MTD and their Consultant Trainer Mike Clarkson met this challenge through the active application of the methods under discussion. Presenting their capability to the board of directors whilst demonstrating a clear understanding of how to apply the core skills needed, plus the willingness and flexibility to adapt led to their being chosen above all others for the job. A core training programme having the flexibility to flow through the entire organisation at all levels was jointly devised, and the first stages of sales development were rapidly implemented. Following on from the training there was a sustained increase in sales performance with significant improvements in closing ratios. In particular, one major account was landed within 1 month of the training which could be traced back directly to a new technique that sales people were implementing from the training. Confidence in the sales team was at an all time high and the whole company has been enjoying working with MTD as they continute to innovate and drive the environmental agenda with their customers. Maersk Line is the core liner shipping activity of the A.P. Moller – Maersk Group, and the leading container shipping company in the world. The Maersk Line fleet comprises more than 500 vessels and to give you an idea of the size of this MTD client, at any one point in time, Maersk Line is transporting cargo worth approximately three per cent of the world’s GNP. Maersk Line employ over 16,900 and 7,600 Seafarers in 325 offices located in more than 125 countries. With such a large scale operation, spanning every conceivable manufacturing sector, the Maersk Line Sales Organisation work with large complex Accounts, often on a global basis. With a highly capable internal training team, Maersk were looking for a provider with proven methodologies, a client focussed approach and the flexibility to create a truly bespoke programme that reflects the culture and style of their Sales People. Having evaluated multiple potential suppliers, MTD were awarded the project with the clear remit to create something special from scratch. Spending time with the Mearsk Leadership and Senior Management Team, we created a truly bespoke solution. The validity of our approach was proven while we ran pilots with groups from Northern and Eastern Europe and African Regions. We implemented a robust customer profiling tool to give a “rapport toolkit” for sales people of different nationalities and commercial environments. We reinforced the existing sales process while skilling the sales force with a bespoke questioning methodology designed for Maersk Line’s business objectives. To protect margins and drive profitability, we implemented a Negotiation methodology that gave consistency and rigour in the planning and execution of large scale commercial negotiations. Through our work and meticulous documenting of the Train The Trainer materials, Maersk Container Inbound Services now possess a consistent, global, best in class Consultative Selling Skills Programme, tailored for their business without the Global Licensing Fees associated with some of the larger names in the Sales & Management Training Sector. Bank of Scotland Merchant Services enables businesses to accept plastic cards as a means of payment throughout the UK . Working across a broad range of retail and commercial customers, they offer the most comprehensive and effective card-processing solution to its customers. As part of its competitive repositioning, Bank of Scotland Merchant Services needed to reinforce and develop its existing sales function through the re-establishment of several new roles, including the key Sales Management function. Critically, the need for professional training to focus on the creation, motivation and leadership of high-performing sales teams was identified as a top priority. MTD designed and delivered a 2-day Sales Management Workshop that focused on applying the core skills of Team Leadership, Performance Management and Individual Coaching to the task of managing a diverse group of itinerant salespeople. Taylor Wimpey are one of the largest house builders in the UK, operating from 24 regional offices across England, Scotland and Wales. Taylor Wimpey aim to be the residential developer of choice for customers, employees, communities and shareholders. Although already successful Taylor Wimpey identified that the quality of their sales management would be a vital factor in continuing as one of the best performing house-builders in the UK. Sales Managers within the business have many responsibilities including the selection and recruitment of Sales Executives, their induction, coaching and day to day management along with the responsibility for delivering sales results for the business. There was also a need to upskill their 600+ sales executives to improve the sales performance of their plots and developments. 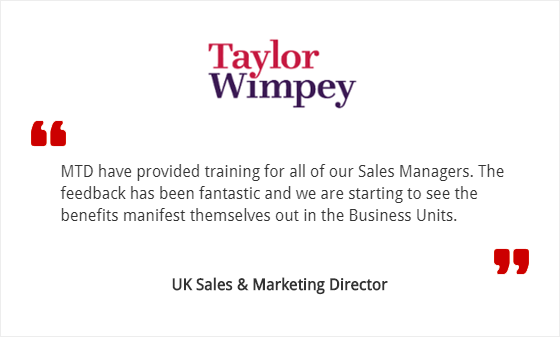 We also created the Taylor Wimpey 7 Stages Sales Process which sales executives were to follow to achieve consistence results. Each of the business units experienced uplifts in sales performance and confidence. Since their foundation in 1986, The Holiday Place Plc has built a reputation for offering a quality, personalised service and superb value for money for their customers. They are a specialist Tour Operator providing holidays for the discerning traveller to a diverse range of great value hotels & resorts in some of the world’s most exotic locations. The Holiday Place wanted their telephone staff to be able to close more deals and up and cross sell a wide range of products and services. 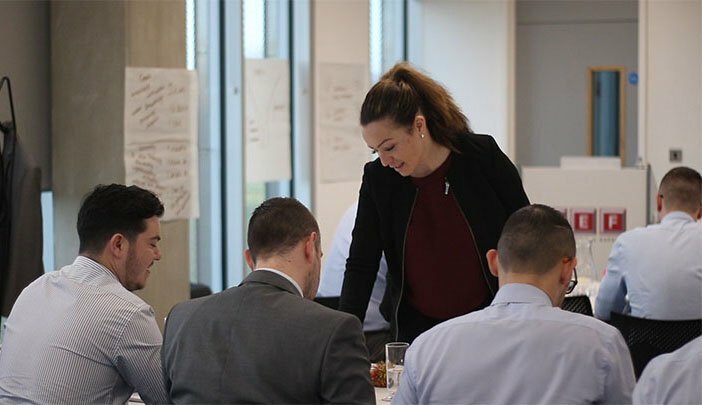 With a view to being the No 1 Tour Operator within the UK they called MTD in to design and deliver an on-going sales training programme for their staff. – Relationship Building Skills and Questioning Methodologies. – Effective Negotiation and Problem Solving Skills. 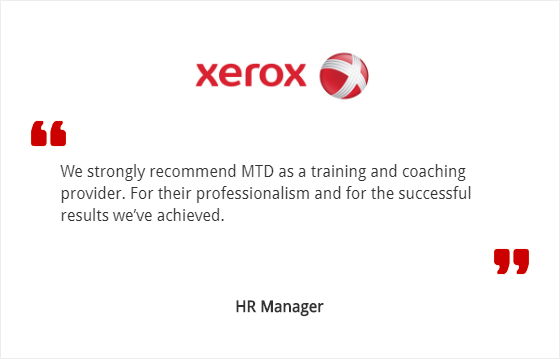 “I would like to thank MTD Sales Training for their excellent training programme. Our telephone sales force underwent a training programme in sales closing and cross selling techniques. The three key modules were, relationship building, sales closing skills and effective negotiation. 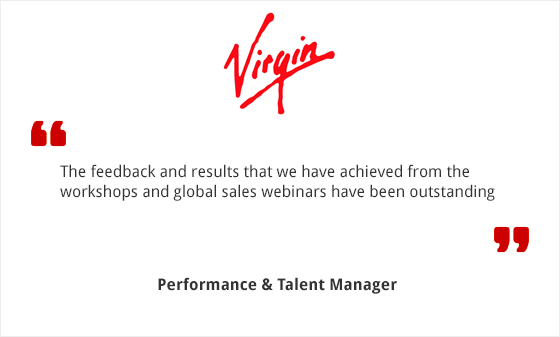 The results were astounding; we now have a sales team that closes 50% more enquiries than previously. The conversion rate from lead to sales has more than doubled, and with certain products even quadrupled. The profit per sale has increased by over 15%. The benefits were not only evident in the sales to our customers but also the relationships between the staff and B2B relationships with our suppliers were improved considerably. The Egyptian Banking Institute (EBI), the training arm of the Central Bank of Egypt provides banking, financial and monetary training to Egypt’s banking professionals. As part of its goals EBI considers program development and improvement as a critical activity to its success. As such, the Institute’s core programming in banking and financial disciplines is augmented with an ever increasing demand for management, human resources, and “soft” skills training and development. As part of its sales training and development strategy EBI was seeking a recognised sales training partner who could ‘deliver’. This meant providing a 2-day robust sales manager training course which would be attended by individuals from a variety of banking and financial roles, with sales management responsibility. MTD designed and delivered a 2-day sales management workshop that focused on applying the skills and behaviours of sales management and sales leadership, setting sales targets and goals, with performance management technique to generate improved individual and sales team results. As a result of a successful pilot, a second workshop was quickly organised and successfully delivered, with high commitment from delegates and individual action plans developed, acting as a self coaching checklist on their return to work. The sales manager workshop has now been integrated into the Institute’s on-going training curriculum. “I would like to express my appreciation for the Sales Management Programme MTD Sales Training delivered for us. Our trainer was brilliant and it was our great pleasure to have such proactive trainer who extended significant constructive input to the participants during the training sessions. We really appreciated the time and dedication shown by MTD, especially from your Training Manager who put in a great deal of effort to coordinate the training and ensure that the programme ran smoothly and was successful. Firstly we contacted the business as mystery telephone shoppers to identify how the leads were handled currently. 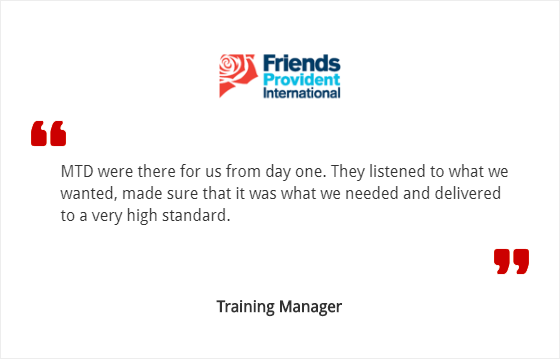 From our findings we developed a one day programme to enhance the skills of the team both in handling up enquiries and identifying needs along with ensuring clients were fully aware of all options before they went on holiday. The sessions focused on questioning skills and generating interest in the add on areas. Porcelanosa has operated in the UK for almost twenty years, and over the last three years has invested over £50million in an expansion of its showroom and distribution network across the country. This expansion has naturally led to the employment of more sales people across the UK in order to provide Porcelanosa customers with the highest standards of attention and service commensurate with the company’s products and philosophy. To meet the demands of growth whilst offering a consistent and recognisable approach to advising customers and maximising sales results the need to promote and maintain high standards of Professional Showroom Sales Skills was evident across each of the operating companies. Industry leading standards of performance were required from all sales personnel, including showroom managers and staff. These standards would have to be supported with high degrees of sales skills and knowledge so that consistency and effectiveness would be achieved through strongly motivated and professional sales people. Amongst others, MTD were invited to explore potential training solutions to satisfy these needs. Drawing on their extensive experience in retail sales; considerable time and energy was invested in researching the customer experience, the knowledge and skill base of the people, and their current sales approaches. Informed by this research a pilot Showroom Sales Skills Workshop was devised which was attended by representatives from all levels of the business. The outcomes were very positive as the workshop focused on the crucial knowledge and skill areas in a way that engaged and motivated delegates to consistently build strong and profitable customer relationships. Coupled with the engaging and practical style of MTD’s workshop leader, the MTD solution was unanimously selected. To ensure maximum impact, final workshop design was further enhanced through face to face interviews with staff at a variety of locations. This enabled MTD to deeply appreciate the situation at the critical customer interface, fine-tune the workshop and maximise its value. Small, yet highly significant adjustments were included that ensured total relevance and efficacy of the programme. To provide the closest possible focus a range of 33 skill competencies in seven groups were identified and measured as a start point for the workshops. The challenge now was to implement the package across the whole of the UK in the shortest possible time. A full schedule to roll out the workshops to 160 people from 26 locations was drawn up between Porcelanosa and MTD which was immediately implemented. The complete UK and Ireland programme was delivered at key sites over an eight week period. Delegates found the training was stimulating, inspirational and practical. They were able to absorb and utilise the material in ways that helped them develop their skills, abilities and confidence; this meant more success in dealing with customers! Results included some delegates immediately increasing their sales figures by over 60%, an increase in conversions and a much improved approach to managing the elongated sales process. Delegates found the content, style and delivery of the workshop were of a very high standard. This enabled them to readily understand how they can meet their objectives. 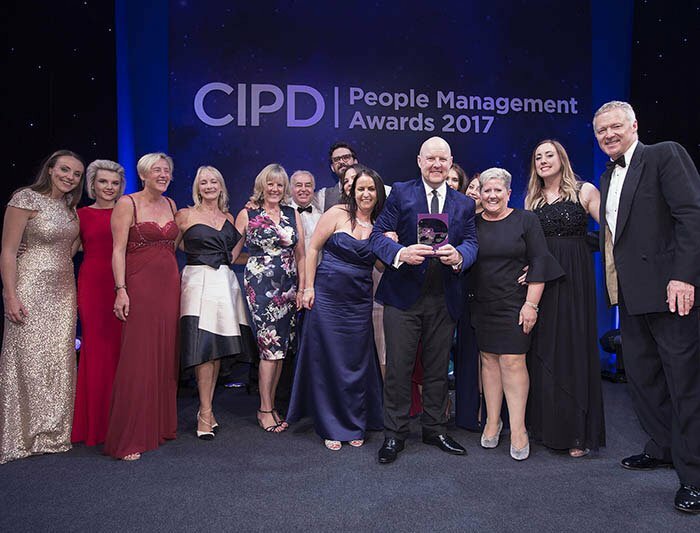 Claire’s Accessories identified the requirement for all of their District Sales Managers across 350 locations in the UK to be able to coach and develop their Branch Managers to improve sales in each of their stores. A program was required to train and develop their District Sales Managers in the art of coaching and staff development. A 2 day “Coaching For Managers” programme was designed and delivered that covered coaching models, learning styles, management styles, body language, tonality, inflection, how to conduct one to ones and how to deal with under-performers and over-achievers. These courses were delivered over an 8 month period. Now all of their branch managers throughout their stores nationwide are performing at a much higher sales level due to the enhancement in their personal and professional development. Blue Banana operate a chain of retail stores specialising in supplying a range of alternative clothing and services with appeal to late teens and early twenties, Blue Banana brings modern diversity coupled with real professionalism to the high streets and malls of Britain . The blending of bold marketing and effective retail skills is the key to success for the group, whose high street presence is complemented by a strong internet presence. With many young graduates employed in senior managerial and supervisory roles, the company benefits from their enthusiasm and energy. This gels with its target customers, but can be short on specific sales and management skills, leaving opportunities unmet and limiting staff and business potential. Blue Banana’s Managing Director wanted to see a much higher of level retail sales and management skills applied in the business, and sought a training provider that could both appreciate the uniqueness of the situation and quickly deliver an effective intervention. It was critical that the provider could relate to the kind of people in the business, and present quality material that would challenge and empower delegates to deliver better and more consistent performance. We were immediately able to appreciate the requirements of Blue Banana due to our own extensive retail and commercial experience. A tailored two-day programme was designed to focus on both aspects of the need, and which could be delivered in a way that engaged the delegates with its value and style. With our practical and engaging manner, our trainers were quickly able to connect with the delegates. Our workshops inspired them with a number of relevant and intriguing models and techniques illustrated by examples from our own experience. Crucially, an agreed ‘Expectation Regime’ was initiated that facilitated learning and practical application by delegates that they could apply with their own personal style for maximum impact. At a time when retail store sales are in decline, the results of the training were outstanding. Worcester Car Sales Ltd is a holding company for “T Wall Garages” (a leading Ford and Vauxhall dealership) and “Clarkes of Kidderminster” (a locally renowned Seat, Kia and Suzuki dealership) – both dealerships are privately owned as a family run business that has been serving members of the local community since 1953. We provided a training solution that was designed around their exact needs and requirements as discussed above. The course itself was delivered over 3 days and included all sales staff and senior managers. The feedback from the training was positive and the further comments from the delegates suggested that they enjoyed the more conversational and less formal/classroom format for the delivery. Delegates found that the course was pitched at the right level, and relevant to the breadth and variety of job roles. Delegates were impressed by the trainer’s style of presentation and found Paul to be very helpful and easy to connect with. Each of the delegates also gave detailed feedback on the working environment and highlighted difficulties in their role, which the senior managers and directors will now be able to act upon to improve the overall motivation and satisfaction of their team. Lidgate’s butchers is a prestigious establishment in London’s fashionable Holland Park. A really unique business, Lidgate’s has been in business for over 150 years, operating from the same site for over 100 years. The owner, David Lidgate is the fourth generation of his family to run the business and tutors his sons carefully in the long standing relationships they have with their suppliers as carefully as the art of butchery. Lidgate’s were an organic butcher before anyone else. Actually, Lidgate’s stocked organic meat before there was any alternative and have never seen the reason to change. Quality is paramount. As a result, many of the celebrities in the area such as Richard Branson and Will Carling purchase their meat from this historic family business. Customer Service is set at a Gold Standard in this business and our role was to support the staff in opening the range of products to the attention of the clientele. The expertise in the staff was really impressive. The key was how we tailor our approach to individual customers with unique needs and interests. We injected a “Selling through Service” programme that represented a win/win for the business and its customers. After careful consultation, we identified that many customers “stick to what they know.” Therefore, we created the confidence and commitment in the team to explore customer tastes and talk through different cuts, cooking techniques and international cuisine that represented a “fit” for the customer’s preferences, special occasions and favourite celebrity chefs! Taking this customer-centric approach was a classic case of building rapport, asking intelligent and insightful questions to build engagement, interest and customer loyalty. With 150 years of business, our goal is to inject the skills and confidence to secure the next 150 years of success for Lidgate the Butchers. As a dividend of the Team’s commitment to try new skills with long standing customers, they have broadened the range of products that customers enjoy and used this success to support the independent organic farmers that supply their business. This has a compound effect in increased revenue at key seasonal times such as Christmas and Easter that just goes to show, if you look after your customers, your customers will look after you! We design and deliver bespoke, in-house courses for your sales team. The beauty of in-house training is that we can get to understand about your business before we deliver the training. We will also learn about what you sell and how you sell it to make sure that what we deliver is really specific to your industry and desired outcomes. Alternatively if you want some help with what could be covered and want some initial ideas of content then please click here and take a look at some of our in-house course examples.